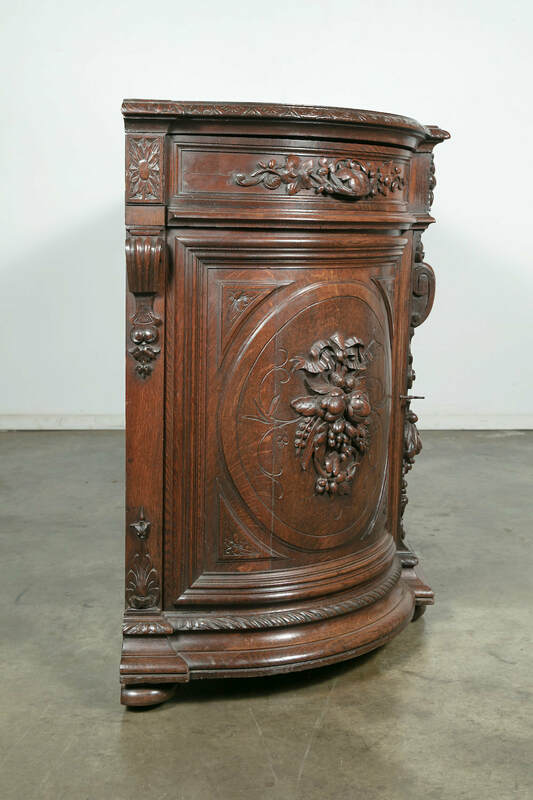 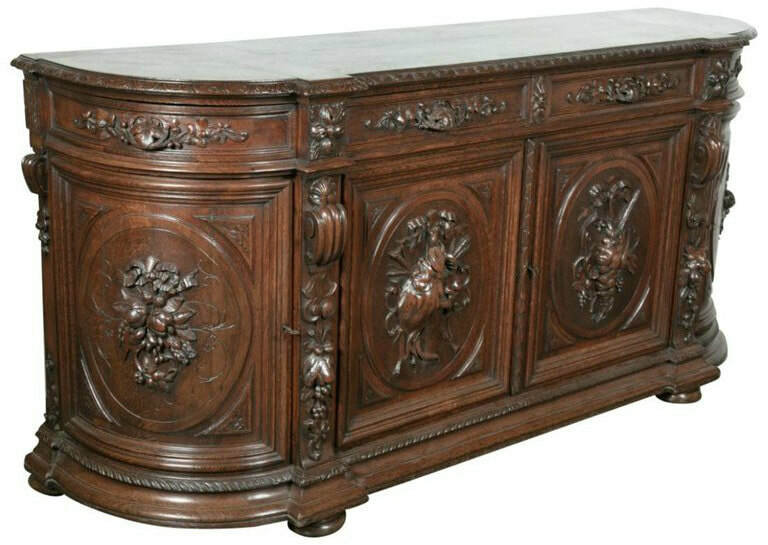 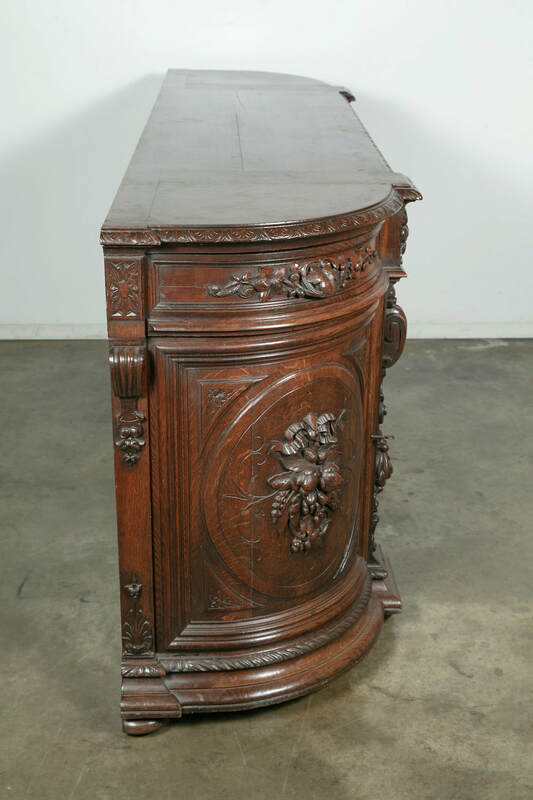 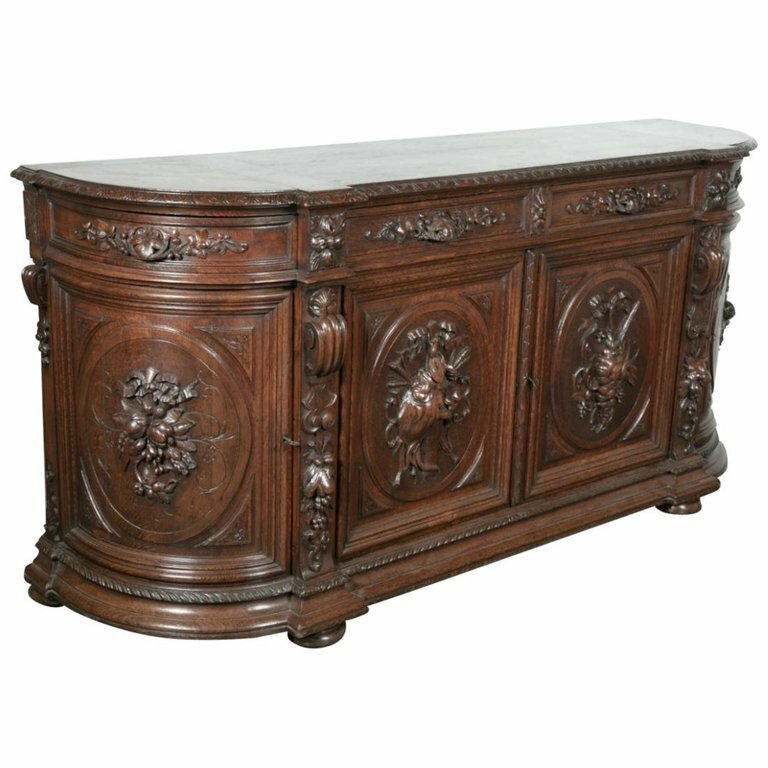 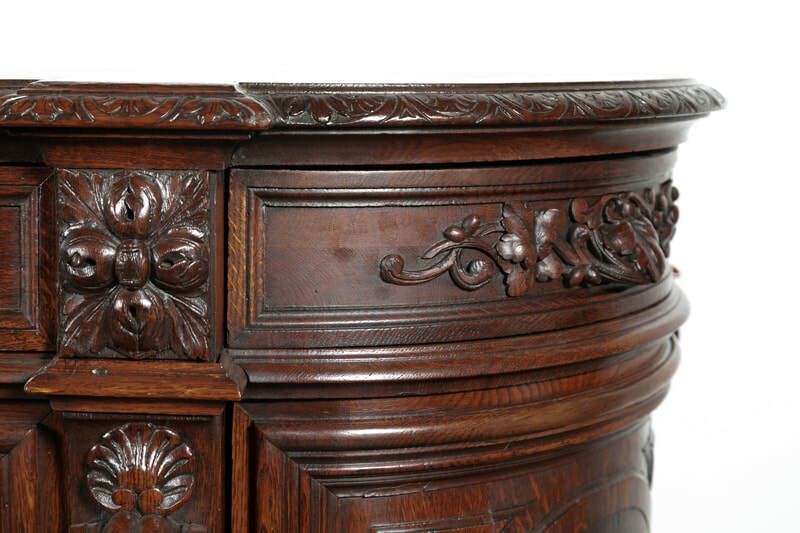 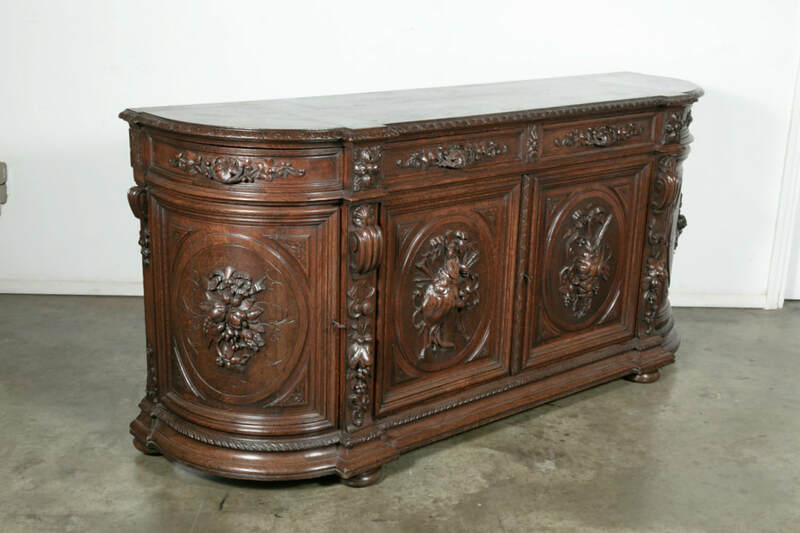 Exceptional 19th century Louis XIII style demilune hunt enfilade buffet handcrafted in French oak by talented artisans in the Normandy region. 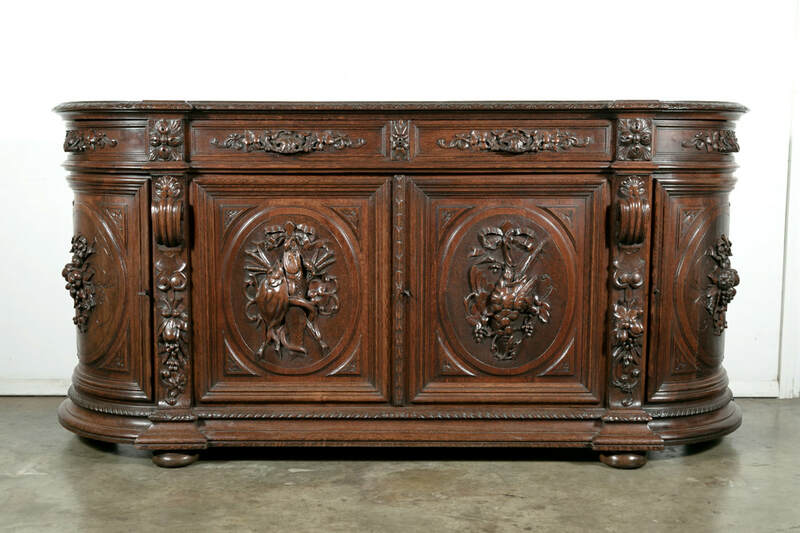 This handsome French Renaissance buffet features hand carved gadrooning on the top edge above four drawers with amazing carved sculptures in high relief on each of the four cabinet doors, depicting the bounty of the harvest on the side doors with birds in the field and fish depicted on the center cabinet doors, all in oval frames. 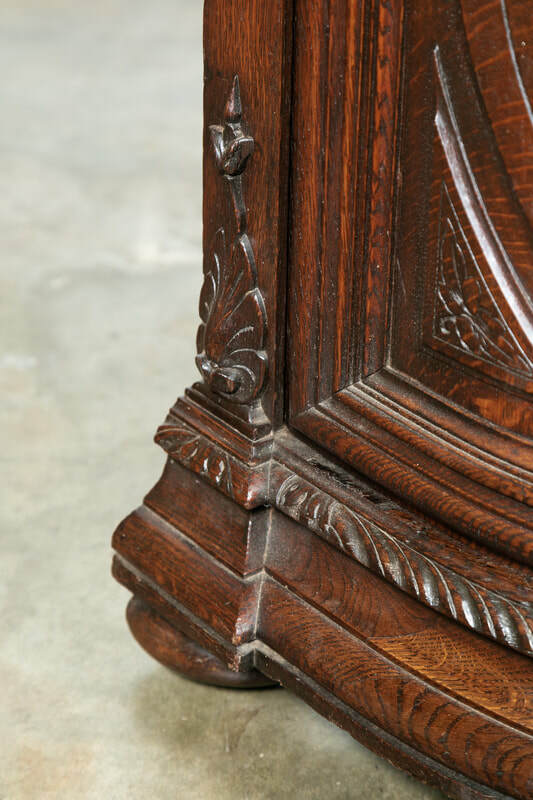 The center doors are flanked by carved balusters with stylized Renaissance inspired motifs. 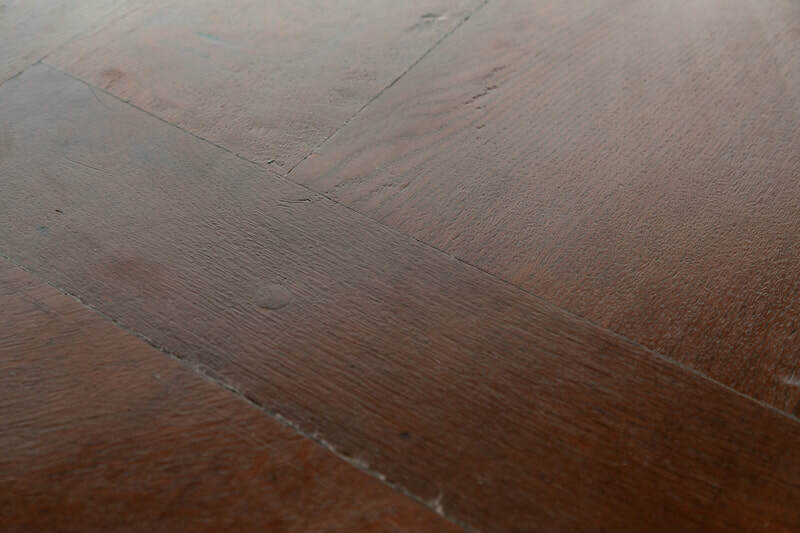 Rests on bun feet with back block feet. 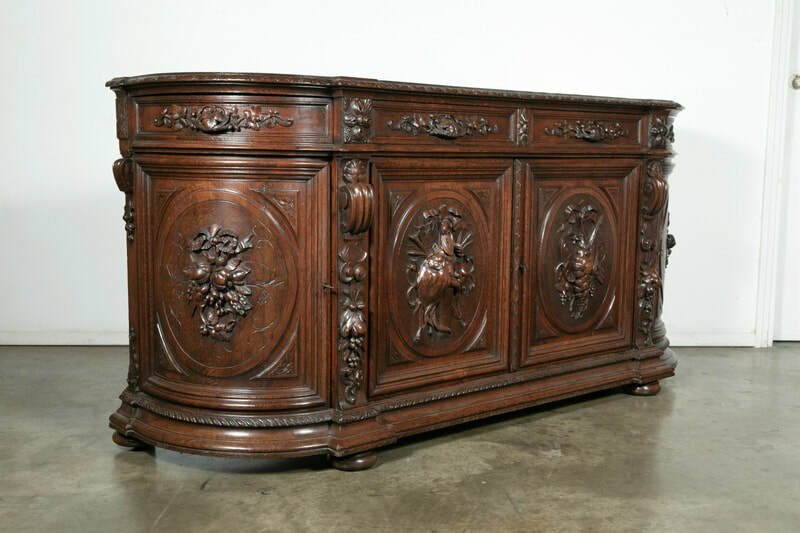 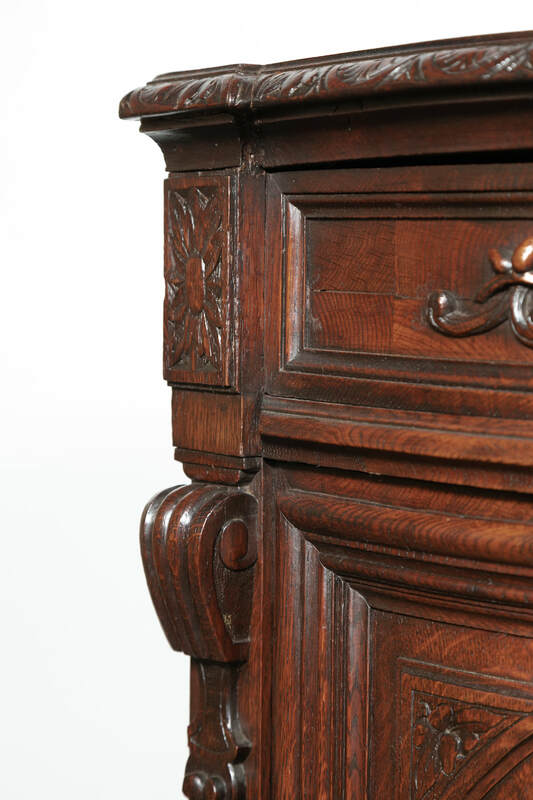 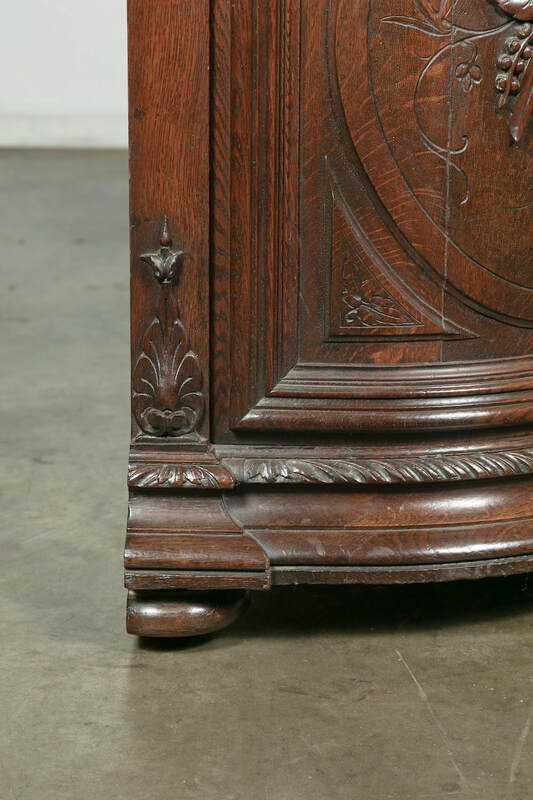 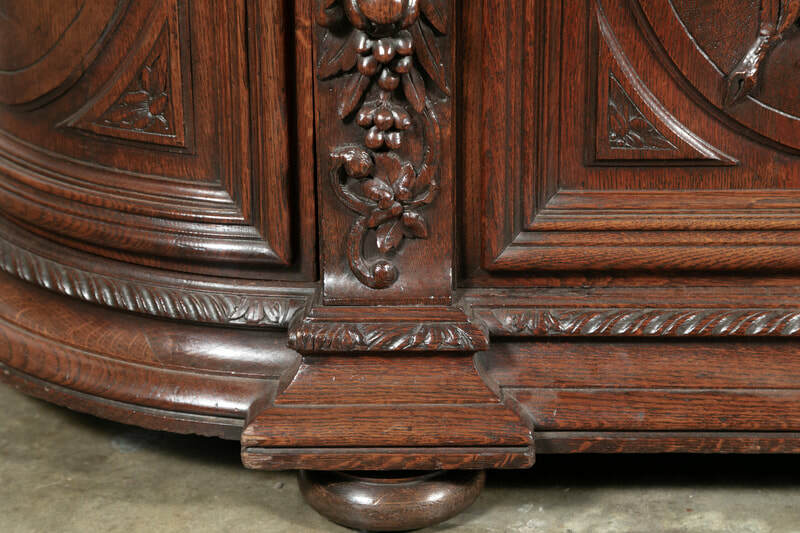 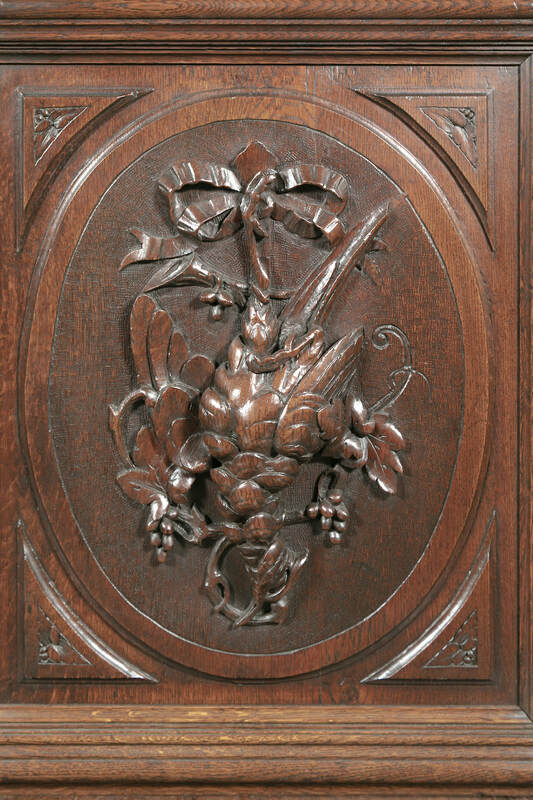 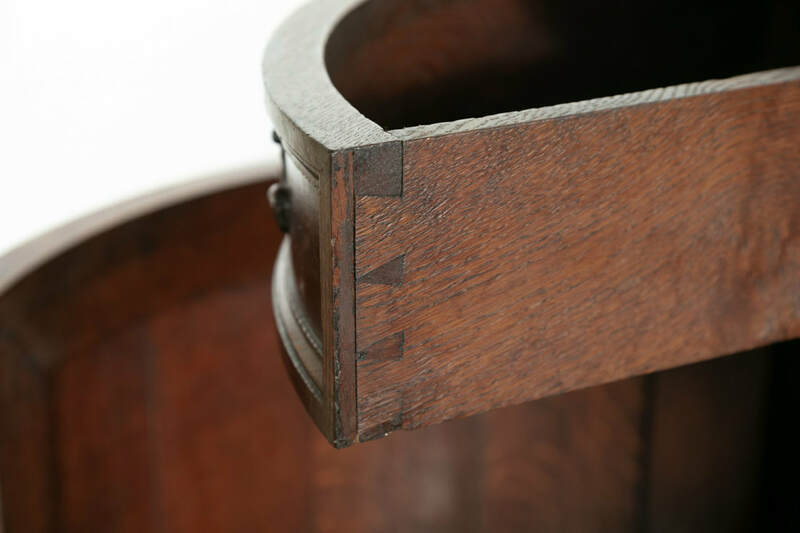 This intricately carved solid oak hunting enfilade with a wonderful aged patina is a fine example of late Renaissance style furniture. 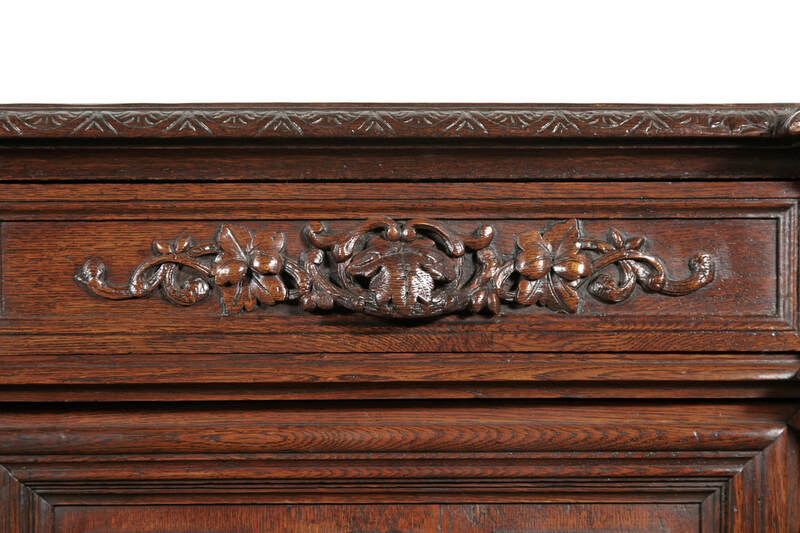 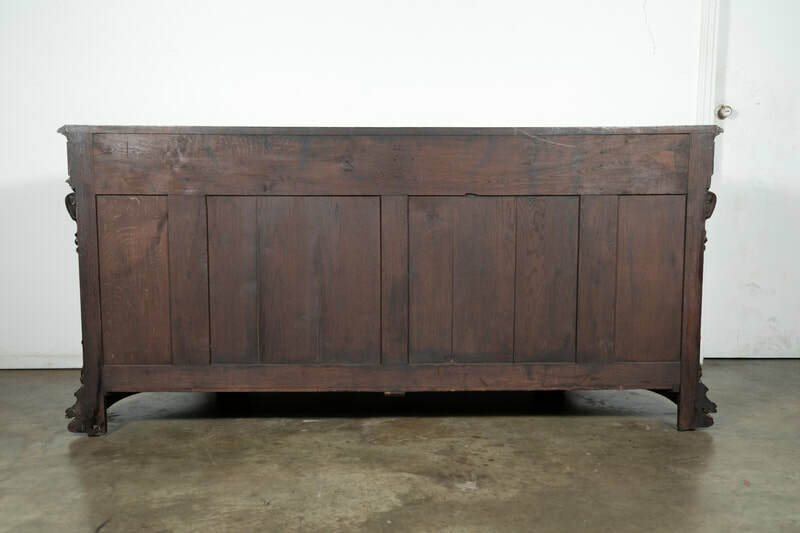 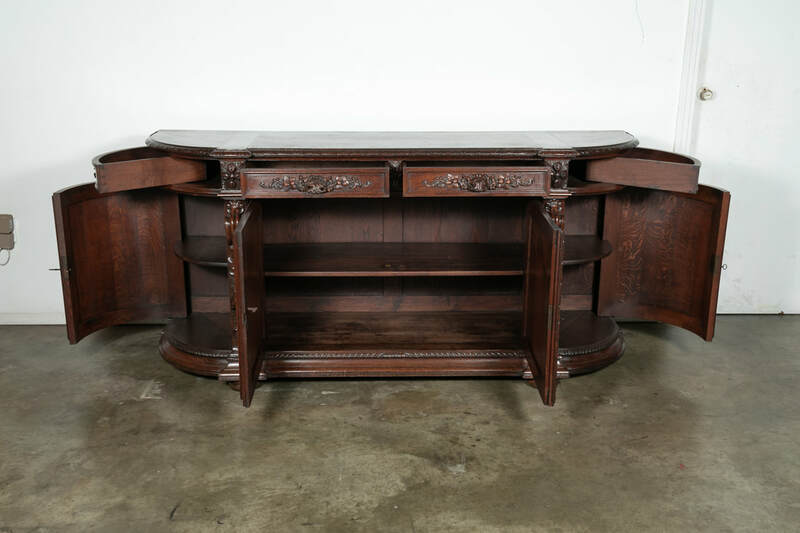 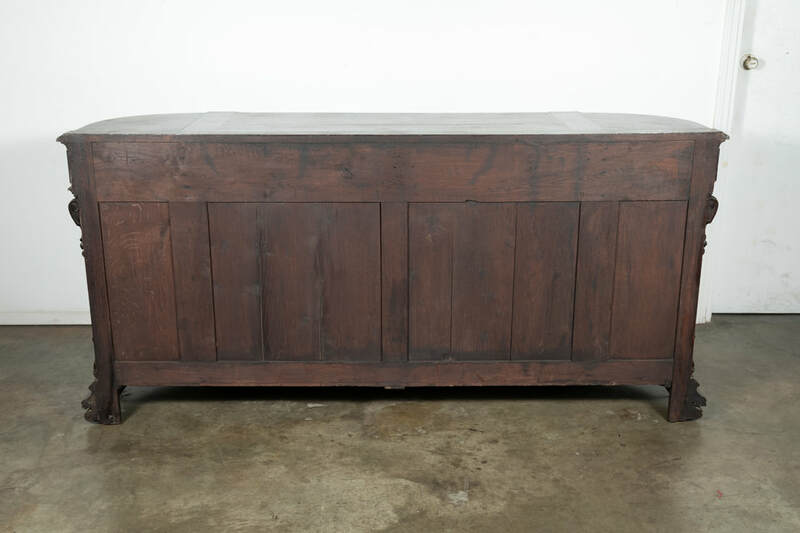 A must for a hunting lodge, ranch or elegant dining room or study. 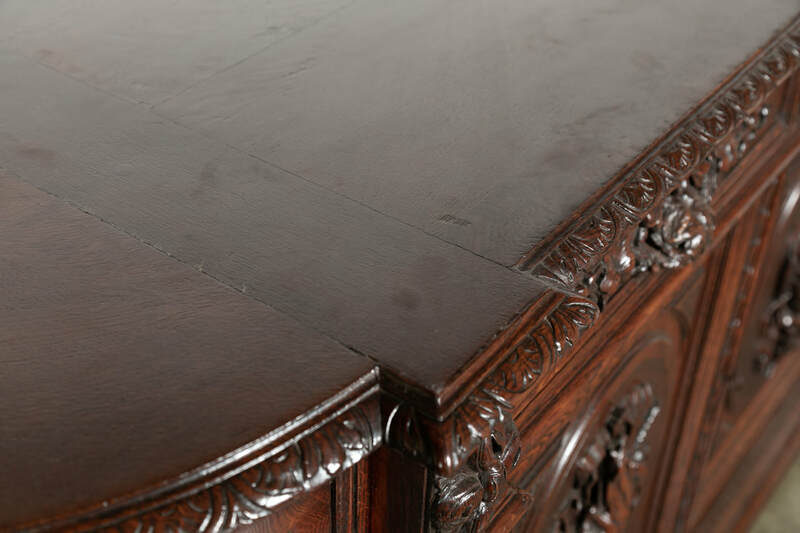 ​Hunting buffets were used to present game after the hunt. 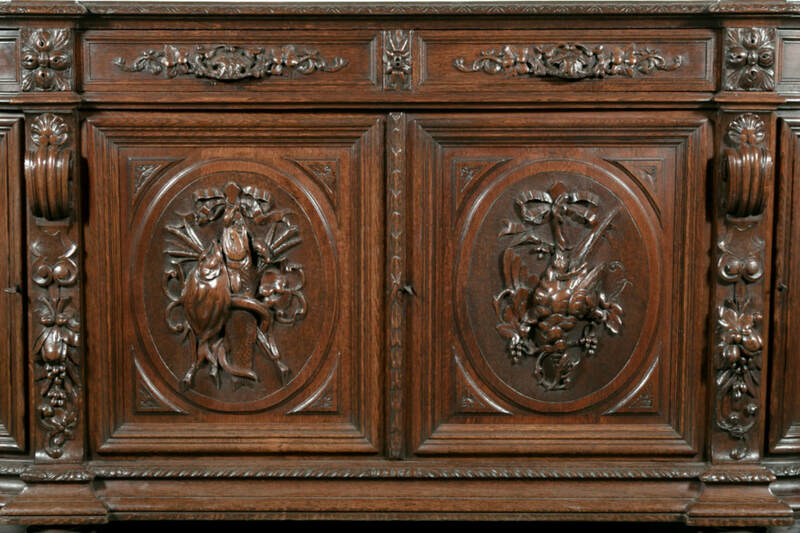 Various forms of the hunt were depicted in the furniture, tapestries and paintings over the centuries. 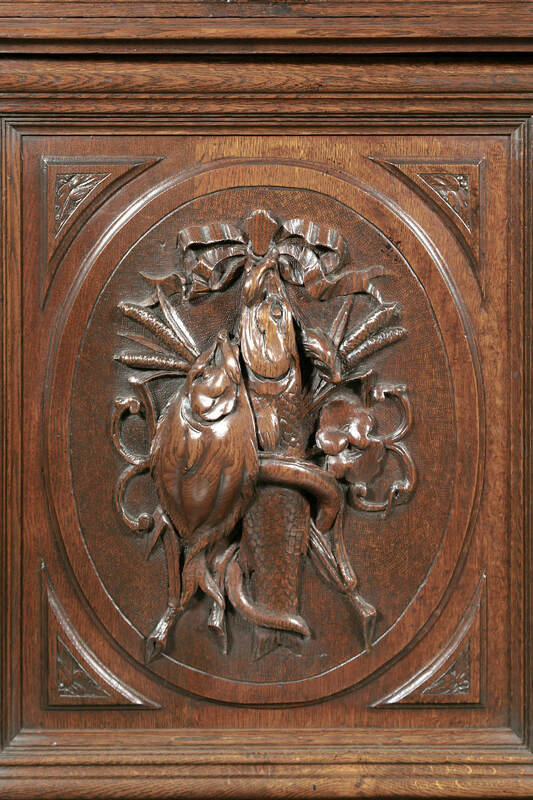 The hunt was considered to be a pastime of Royalty and the privileged class.